onlyinvestment Jialak , this family bussiness all cant believe. I still got huge lot in Lsteel , I think will go holland this time . coecoe The Q report is in my opinion very unclear about operating margins. Revenue developping great but operating profit negative? What is behind all those accountancy-technical adjustments? As a shareholder I want to have insight in the profitability of the real operations and this is completely in-transparent. The only positive statement of the management is that they foresee an encouraging development of the results in the new year. coecoe Although I believe that the operations of Emetall are sound I am extremely disappointed in the reporting of the company. Today with minus 9% is not a good day to sell but after a recovery (I hope) I will sell this counter and never come back again. Bad customer relation behaviour. coecoe The bookvalue per share is Rm 1.09 so long way to go. Bookvalue increased dec 2016 - dec 2017 from 0.93 to 1.09 thus a plus of 16 sen. A lot of value has been created but unfortunately not as Earnings per Share and that is what the market wants to see. Jona0724 actually Q4 should be earning money, can c the cash flow from - to +. price down can buy cheap. francis188 why drop so much ? any news? carilembu awaiting coming QR announcement. Do the steady rise in price of this low profile stock indicates improved financial results? carilembu Worst yet to come..
carilembu Challenging time for emetall.. Can next QR be better? carilembu Touched bottom. Trend reversal. 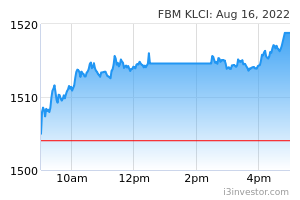 We maintain our BUY call, forecasts and FV of RM0.92 based on 8x FY18F EPS of 11.5 sen. This is at a discount to the manufacturing sector’s average 1-year forward PE of 10-11x to reflect Eonmetall’s relatively small market capitalisation. Eonmetall has entered into a build-operate-own-transfer (BOOT) arrangement with Felda Palm Industries Sdn Bhd (Felda Palm), a 72%-owned subsidiary of FGV. The arrangement entails Eonmetall to construct, commission, operate and maintain a palm fibre oil extraction (PFOE) plant each alongside six Felda Palm’s existing palm oil mills on a profit-sharing basis over 10 years. Upon successful implementation of these six PFOE plants, the same arrangement may be extended to another four palm oil mills owned by Felda Palm. We are positive on the latest development. Eonmetall has effectively delivered what it guided, i.e. concluding a major deal with a major planter involving the investment in several PFOE plants on a concession basis. Eonmetall will get two bites at the cherry: (1) profits from fabrication of the plants; and (2) recurring profits from the sale of the residual palm oil extracted over 10 years. We are keeping our forecasts which have reflected this. We continue to like Eonmetall for the growing acceptance by palm oil millers in Malaysia and Indonesia for its solvent oil extraction plants. Eonmetall enjoys good margins for these plants in the absence of competition, coupled with the in-sourcing of inputs (steel products and metalwork machinery) used in the fabrication of these plants. The next phase of growth for its solvent oil extraction plant business could come from the introduction of the concession model. The model is attractive to palm oil mill owners as it requires minimal capital outlay from them as Eonmetall will fund the construction cost of the solvent oil extraction plant in exchange for profit sharing. tipumakan Director keep buying back. its a trap or an indication? LEEKING2005 No dividend this year? Come on, the palm oil price almost RM 2300/ tonnes, don't be so stingy. tipumakan why say so? quarter already out? value88 Company keeps buying back its own shares on 1st and 4th March. They must think its price now is low to collect. carilembu masa utk bangun tidur..